It was great talking about my Time to Shine confidence tricks to an inspiring crowd. Thanks to Kristy from @abagmumofstyle for this pic. Here’s Siobhan, our very own Weleda Beauty Advisor for the afternoon, sharing some tips on looking after ourselves. She spoiled us with hand massages during the afternoon. I wore Weleda’s Skin Food on Sunday. As a primer, it did a great job of keeping my make-up in tact during a fun gathering. 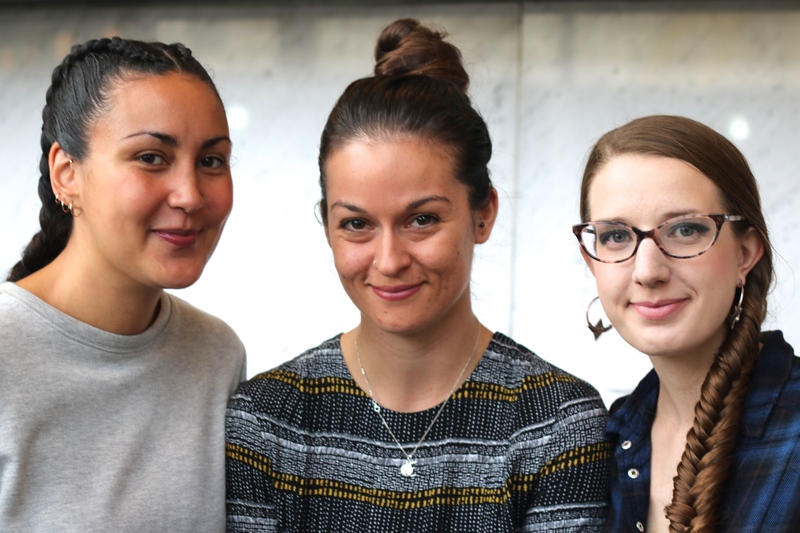 I call these ladies the three musketeers. They’re fab. 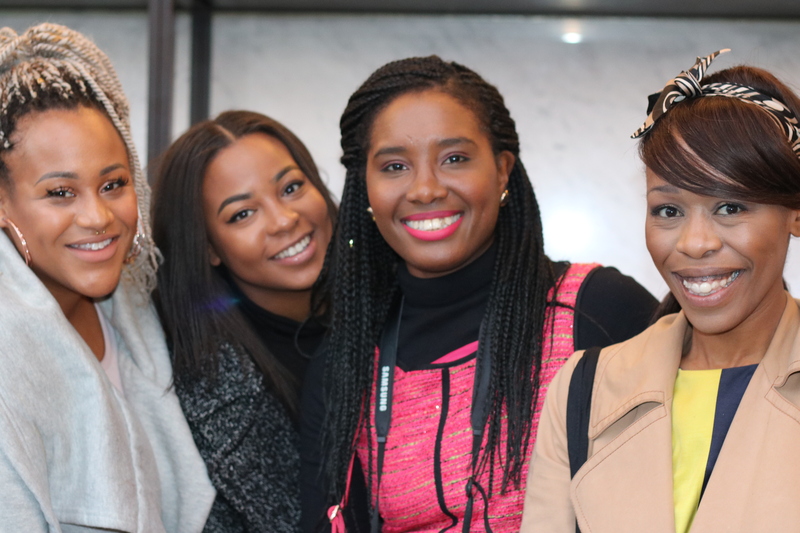 Loved meeting them at Donna’s Mama Squad Assemble. Liz from @uhohmum, Vicki from confessionsofaNICUmum (check out her incredible post for my Time to Shine series) and Ally from @lifewithmylittleduck Ally has been nominated for the best Parent Allergy Blog for the Allergy Blog Awards UK. Please take a moment to vote for Ally. It’s just a quick click away here…. The public vote ends on 30 November 2016. 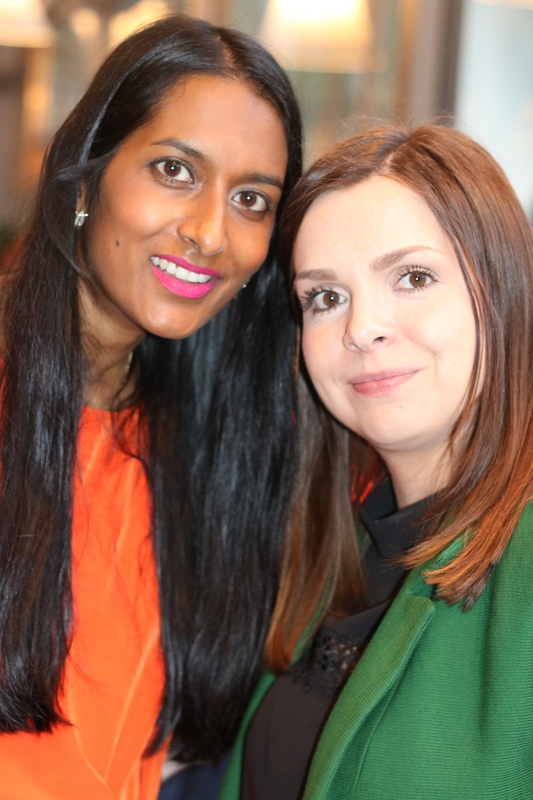 Me and Kim from @ifthebabyallows Check out her Instagram and blog for the loveliest accessories and beauty gems. I now have my eye on her slick emerald coat. Sareta from kikiblahblah.com, Lizzy @edk_x, Alicia from @sunloveraliciareg and Kat from kittyandb.com (left to right) Kikiblahblah features the best recipes and fun “brighten up your day” video clips, accompanied by her blog-sidekick Lizzy. Check out Alicia’s lifestyle blog which always brings us sunshine and keeps us feeling positive. Grab a dose of chic over at Kitty and B.
Thaarani from teeclutter.com and Kristy from @abagmumofstyle These ladies are always sporting the latest pretty trends. Kristy always finds the best Zara finds (her silver trousers are from there, of course). Check out Thaarani’s latest post on different ways to dress up a t-shirt. Leah from motherhood_reconstructed.com, me, Cee from heyisthatme.co.uk (who made her online photo debut following the Lucky Things Meet Up – incredible). 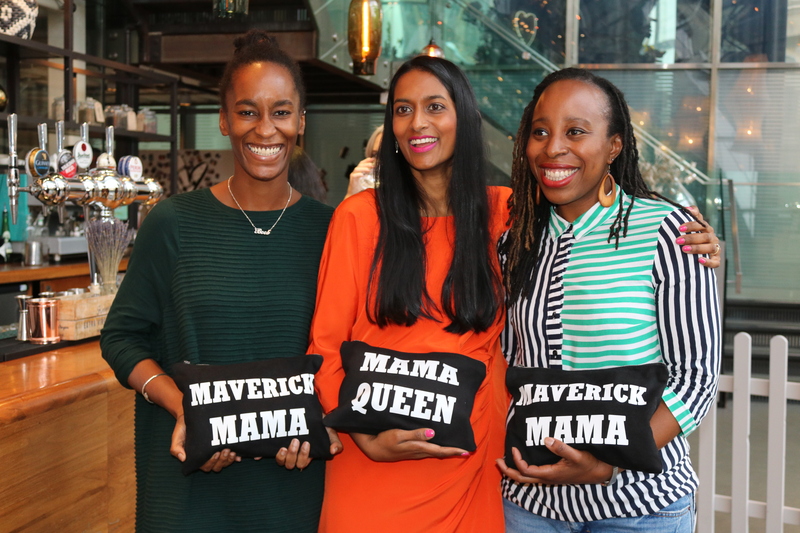 Here we are, very proud of our KemiKids mama clutches. Nothing like an empowering accessory to give you a boost each day. Love that I can fit my Canon SLR in mine. Cee was my first InstaMama date. We met for cake and chips. The rest was history. 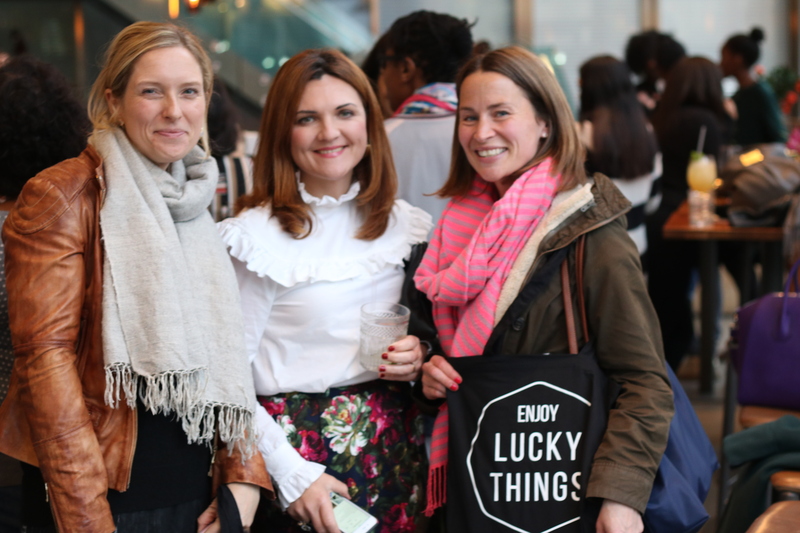 Sophie from Esme Loves jewellery (check out her beautiful jewellery range), style-stopper Antonia from @tinkertailor (love it that her daughters take her Insta photos) and Emma from itsmostlyokay.com who blogs about babies, life and laughs. Me and Sarah from mumzilla.co.uk I first met Sarah at BritMums #BML16 conference where I spotted her cool tassled Zara cardigan. 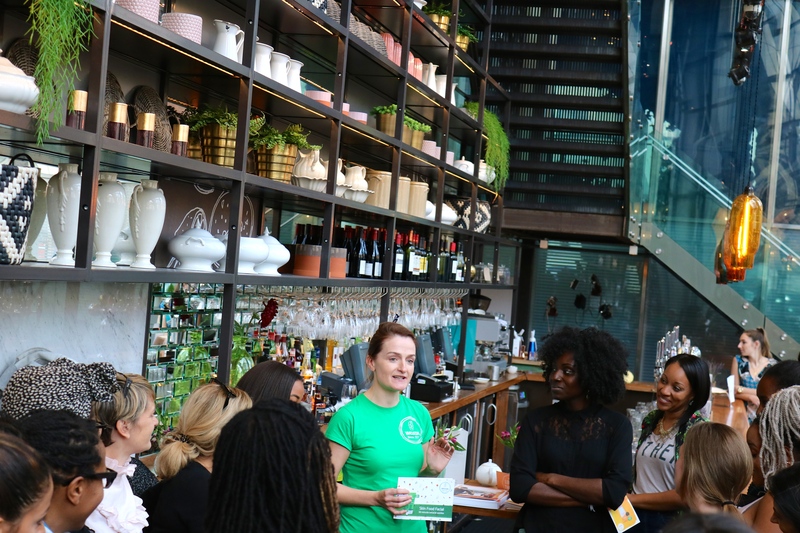 Sarah and Emma from Island Living raised over a £1000 through their amazing #BloggersBeatingCancer campaign where loads of us enjoyed coffee, cake and giggles during a virtual coffee morning supporting MacMillan and St Bart’s charity. These two rock! Fair enough that Emma couldn’t make the first Lucky Things Meet Up as she lives over in the Channel Islands (we missed you though). 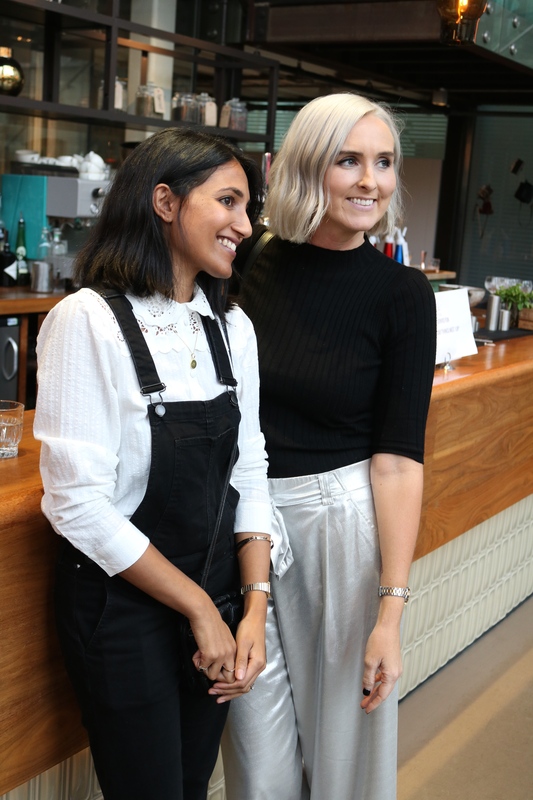 The lovely Nikki from @oneoutonein You’ve got to love Nikki’s style stories over on her Instagram corner. She also has the prettiest jumper collection. The lovelies Bella from alongcamejay.com and Nina from @mummyandnina Their Instafeeds and blog captions are always fab. I love it that Bella always calls me “doll”. Thanks Nina for taking pics and video clips of my talk on my iPhone (loved looking at these on my way home from The Drift Bar). Me with Cat who runs Sorting Self events in North London. 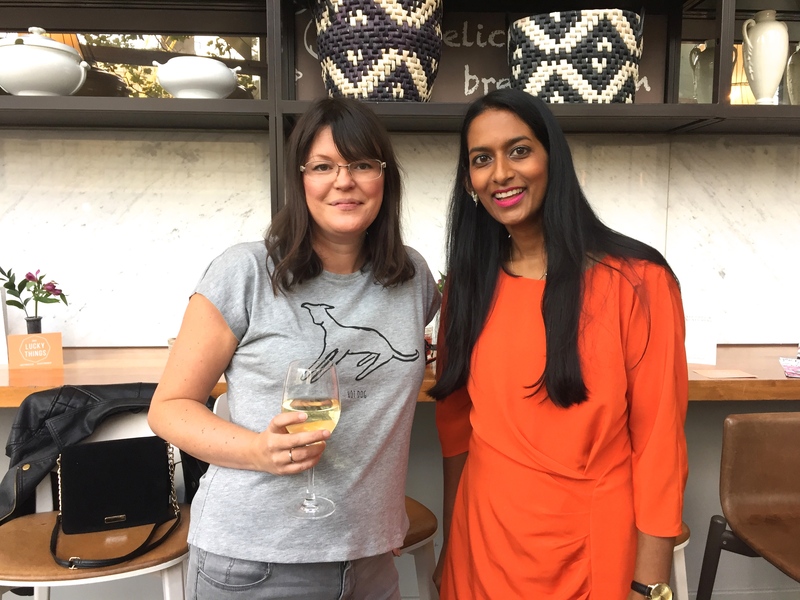 Loved talking at her recent event on the beginners guide to blogging. Check out her #21daysofstyle over on her Instagram. 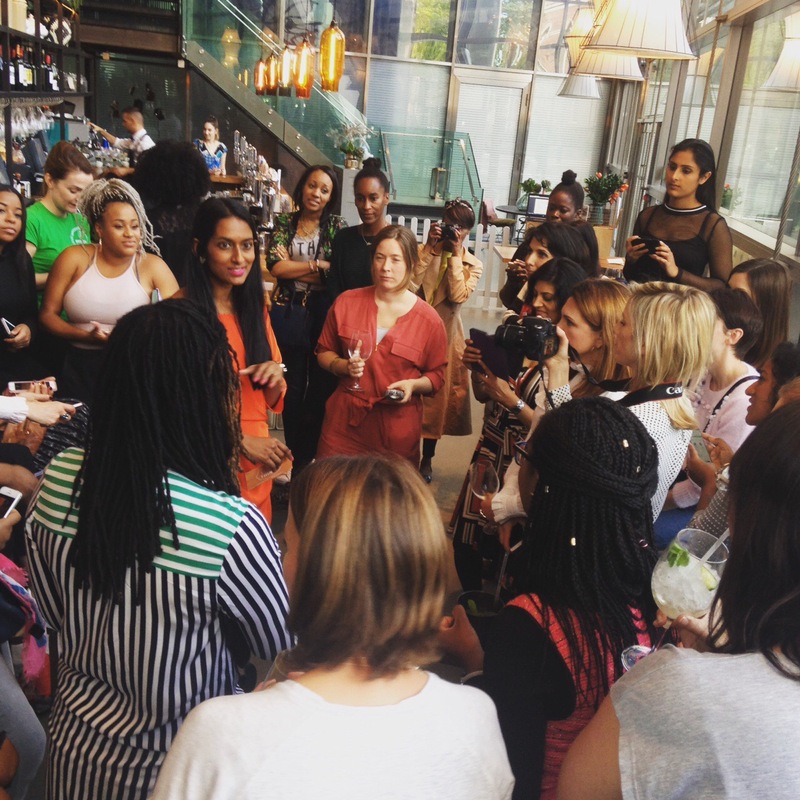 Can’t wait for her next event on the 7 November 2016 with the London Craft Club. 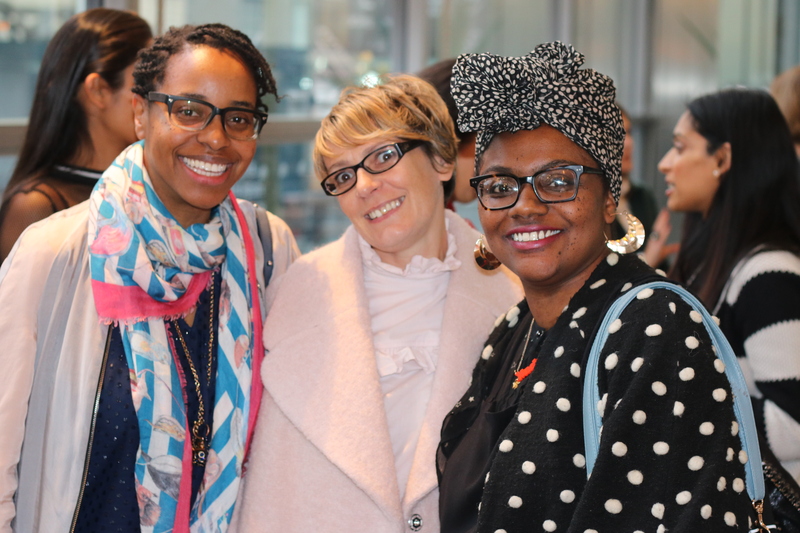 Three lovely stylists…Susan susanalcindor.com, Alex @she_calls_herself_a_styliste and Yvadney my favourite mum that slays over at yvadney.com (check out her linky #mumsthatslays when you get a chance). 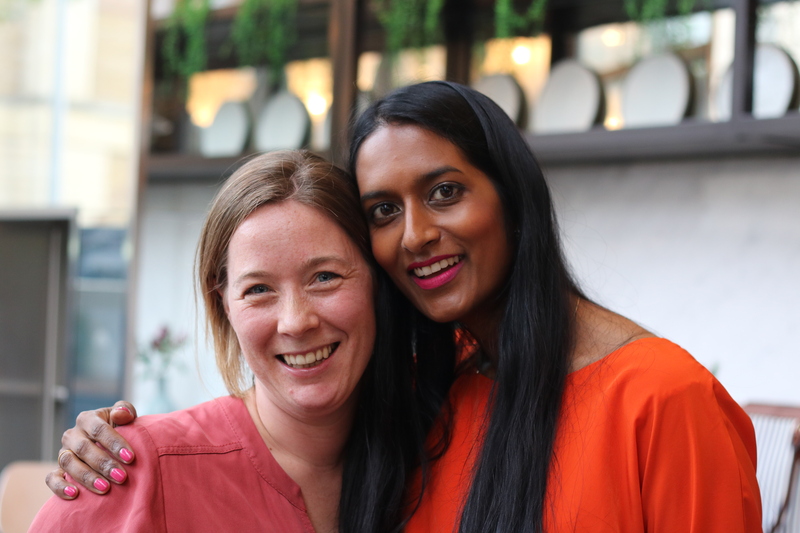 I “met” Alex whilst we worked on our #warriorwomanproject the other week (run by Nat from Style Me Sunday – one of the first ladies who inspired me to start a blog). 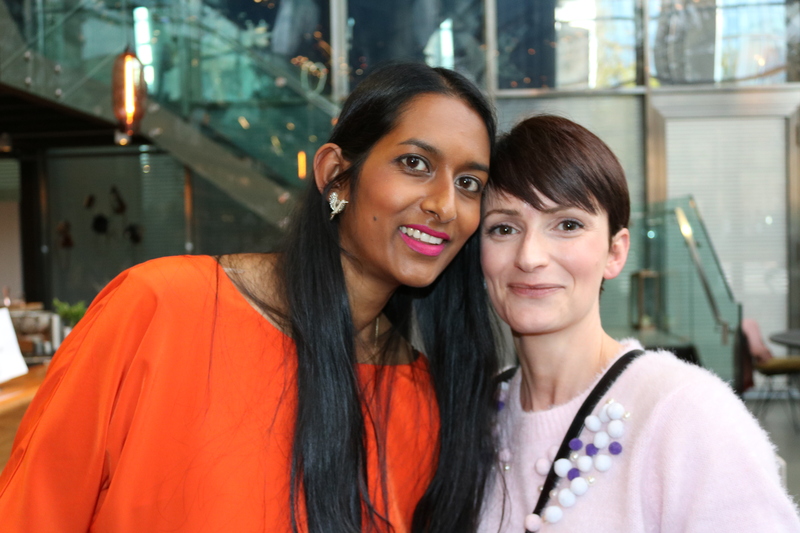 Sima from thecuriouspixie.co.uk and my pal (yes a friend who I didn’t meet online and have known for years!) Kimberly from mediamummy.com. Thanks to Kimberly who filmed my Time to Shine talk and Cat who helped with the sound recording. Looking forward to popping up some of the talk up on the new Lucky Things Blog You Tube channel. 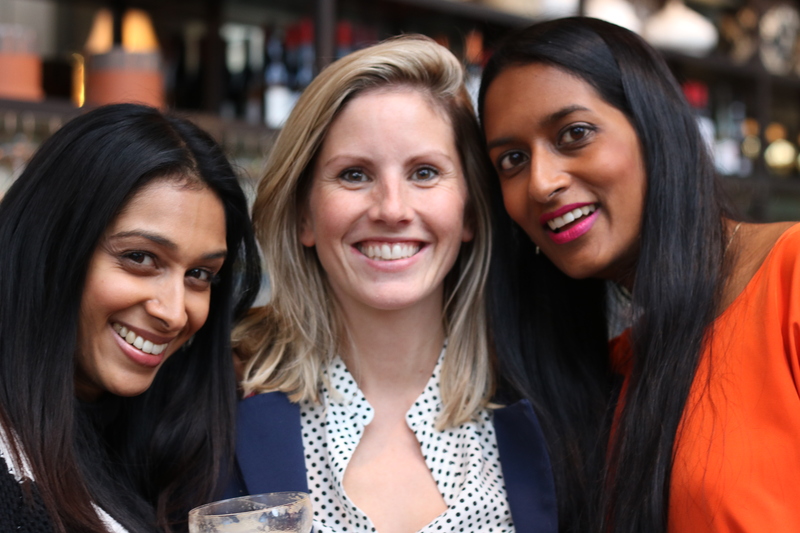 I love this pic of Nicola from alifemoreinspired.com, Sareta and Tamu. 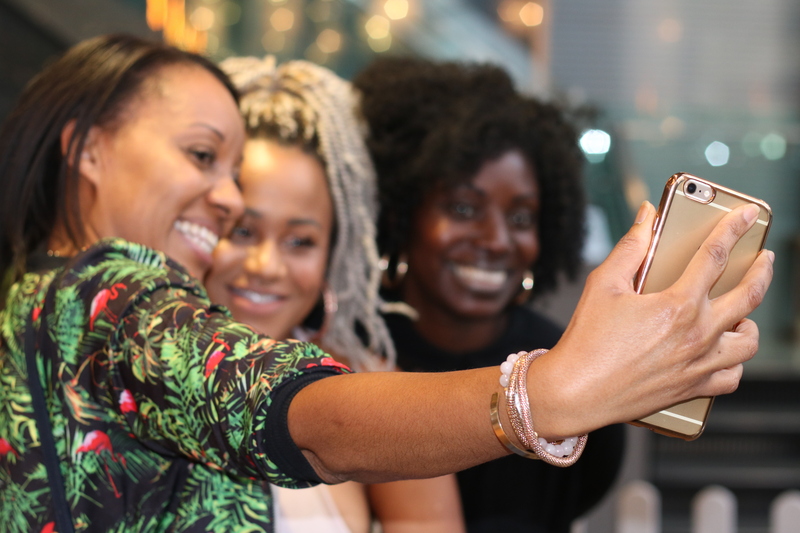 This was also what the Lucky Things Meet Up was about – seeing your online pals in real life and taking a celebratory selfie. 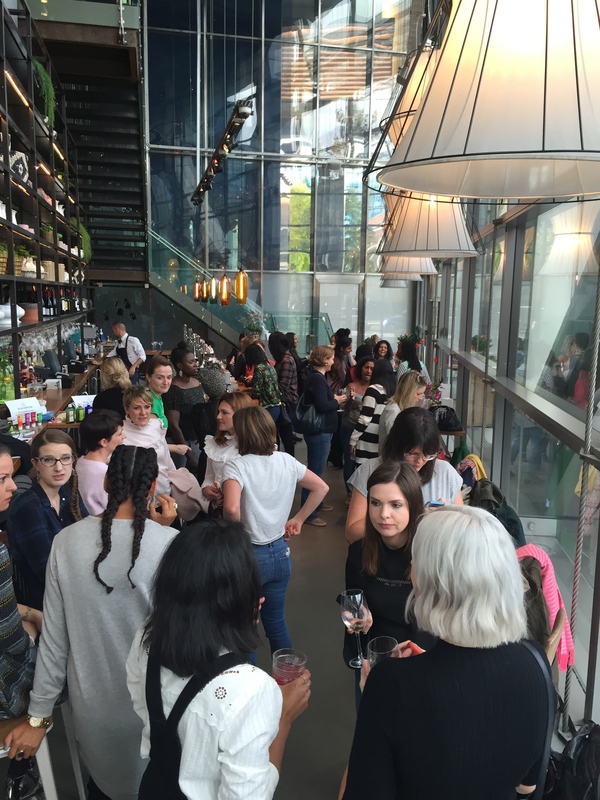 Thank you to everyone who was part of the Lucky Things Meet Up or who inspired me to organise this. I know there are lots of you who I didn’t get to snap photos of. Some of you happily took snaps with my SLR so I didn’t have to navigate selfies (cheers ladies). Thanks to those who weren’t able to make it, looking forward to seeing you at the next one. There will always be a good Lucky Things excuse to get us all together for an afternoon of inspiration. 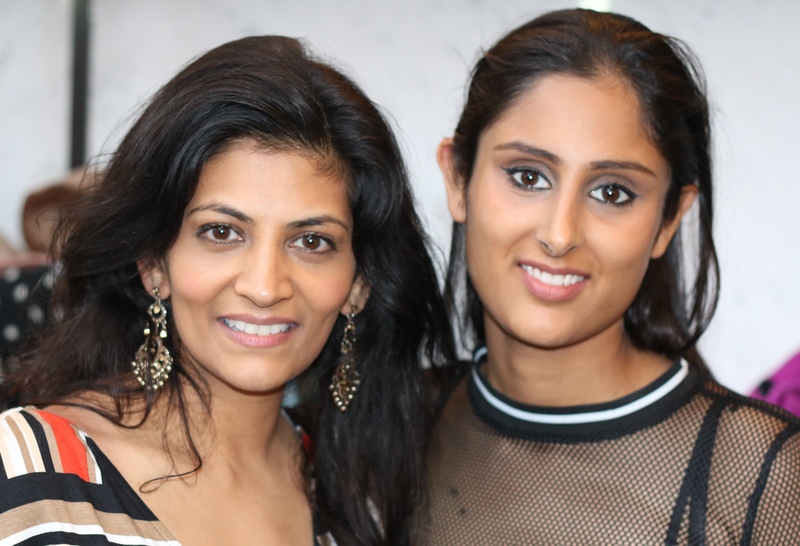 Thanks for stopping by Lucky Things, x Sunita. Oh, a few peeps asked me about the colour I wore on my lips. It’s the new Lip and Stain in shade Power from MDM Flow (developed and made by the talented Flo).